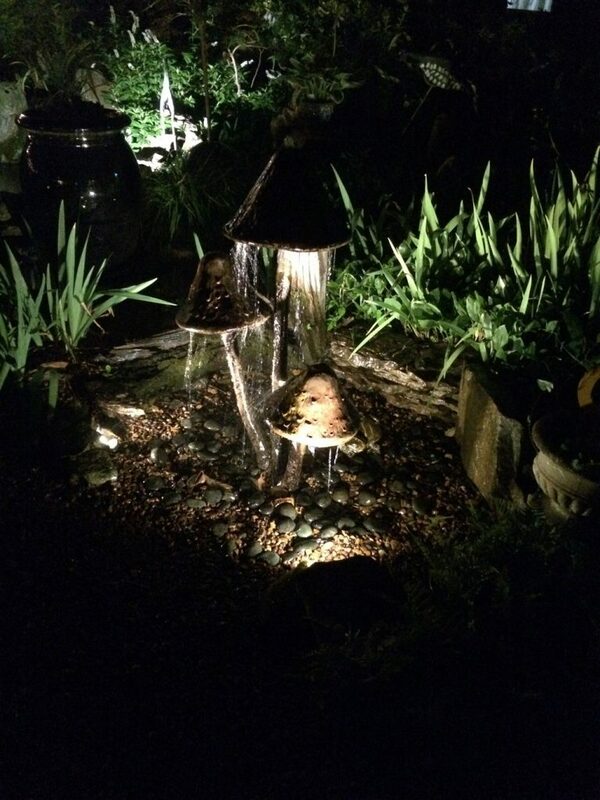 Landscape Lighting – Carter's Nursery, Pond and Patio, Inc.
A properly designed Nightscape changes EVERYTHING! It turns your Water Feature and Outdoor Living areas into a 24 hour feature! 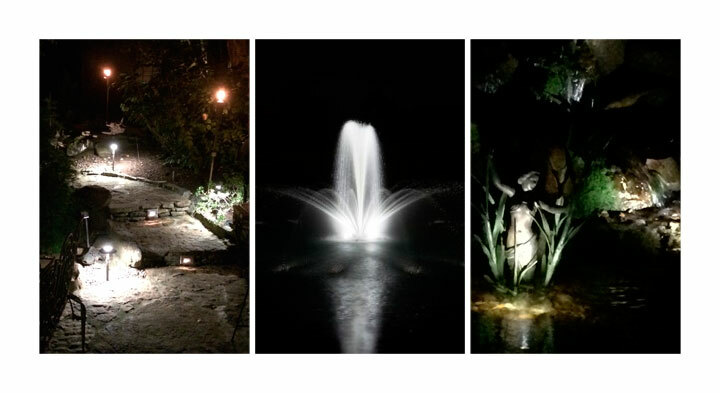 Landscape Lighting turns your landscape into a magical 24 hour feature! 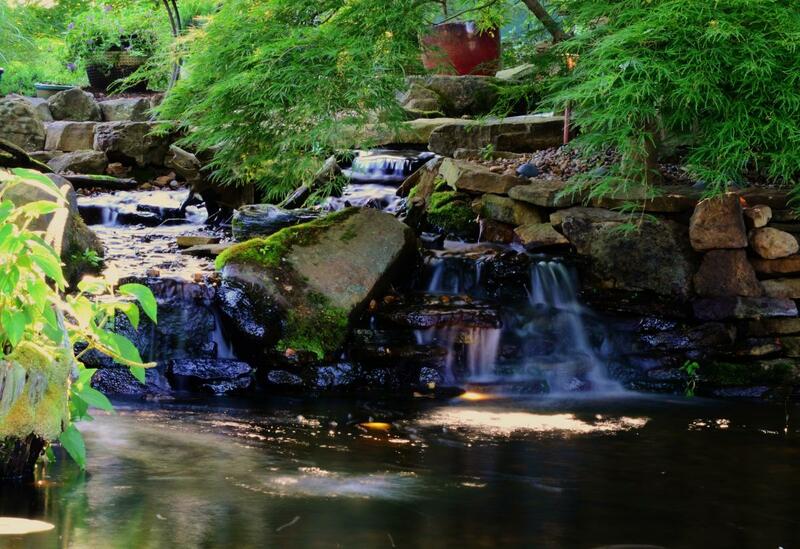 Carters Nursery Pond & Patio can design the perfect landscape lighting package for you! 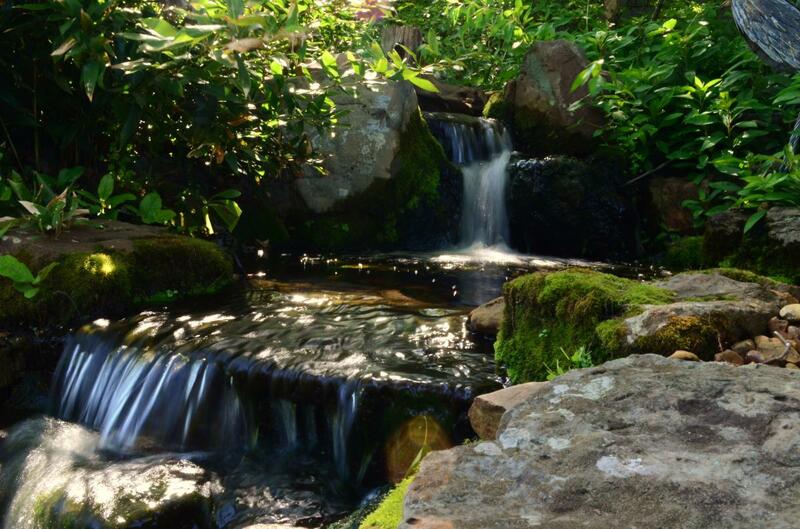 Company Mission : To help our clients create beautiful, functional, low maintenance Landscapes & Water Features that enhance their lives! Using high quality equipment, creating great designs and paying close attention to detail is how we accomplish this mission! A beautifully lit Fountain is the focal point of this garden. 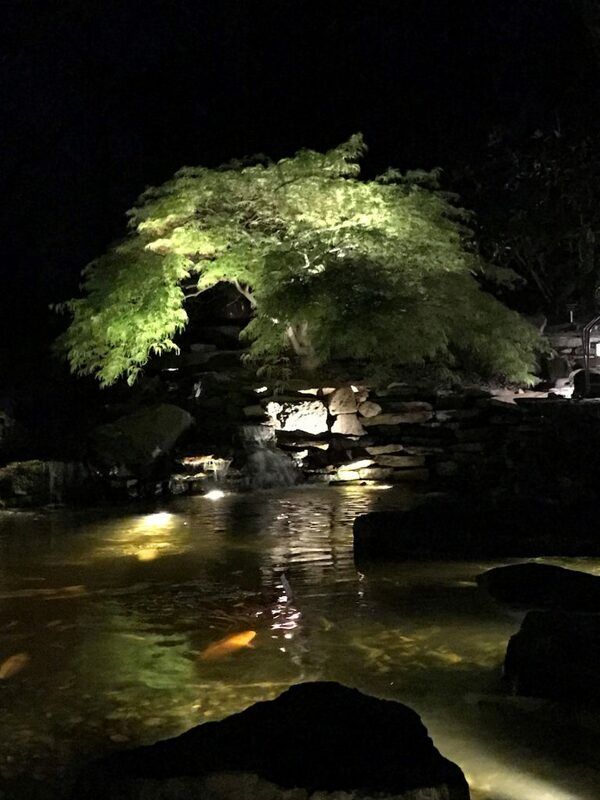 Landscape Lighting | Carters Nursery Pond & Patio | Jackson, Tn. Installing outdoor lighting will bring new life to your landscape and will allow you to enjoy your walkways, patio, water garden & swimming areas 24 hours a day. 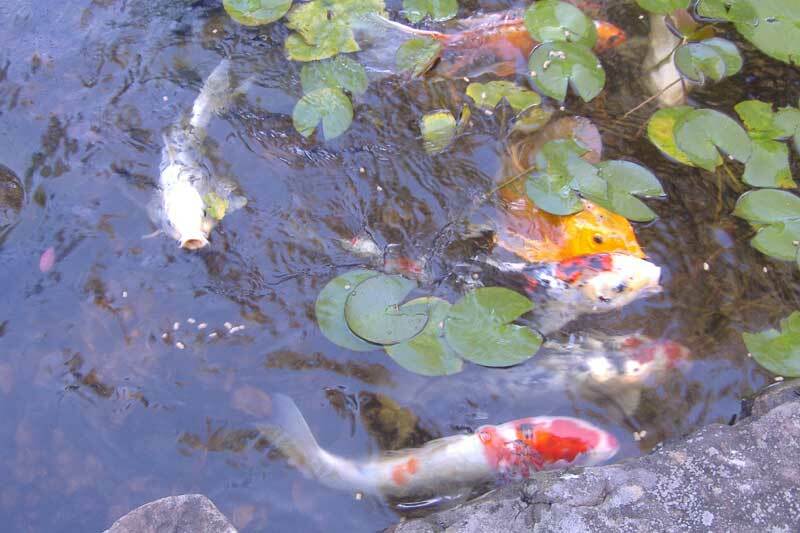 Knowing how to accent the focal points in your landscape, lighting up your walkways and steps and up-lighting accent points on your home are some of the ways Carters Nursery Pond & Patio can help provide tranquility and elegance to your property. 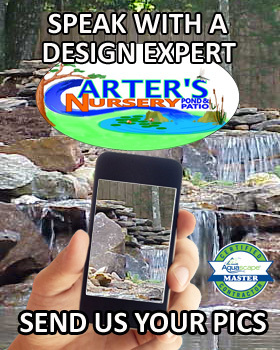 Carters Nursery Pond & Patio is fully licensed, certified, and insured. 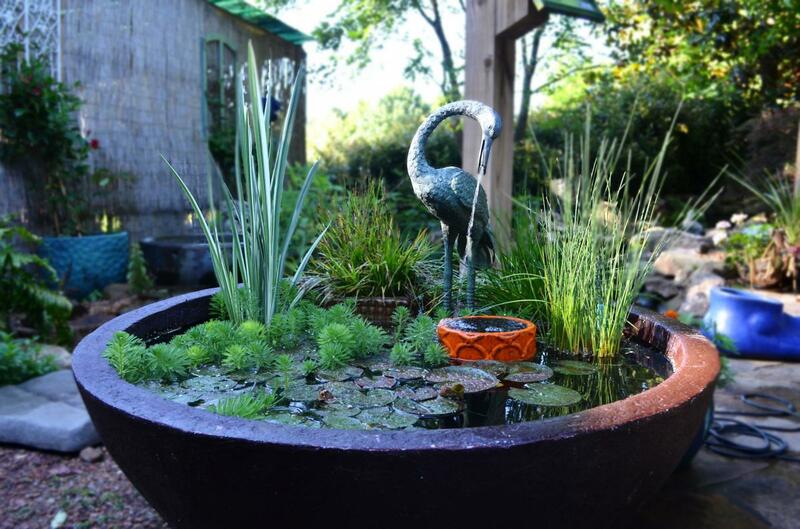 Give us a call for a personal design consultation at 731-424-2206.